An operative for an elite private intelligence firm finds her priorities changing dramatically after she is tasked with infiltrating an anarchist group known for executing covert attacks upon major corporations. A successful operative for an elite private intelligence firm is tasked with infiltrating an anarchist group known for executing covert attacks upon major corporations. However, she finds her priorities changing as she befriends the members and begins to develop romantic feelings for its charismatic leader. But when a member of the group goes missing Sarah is recruited to fill the missing member’s role on a “jam” and comes to learn that each of The East has been personally damaged by corporate activities. 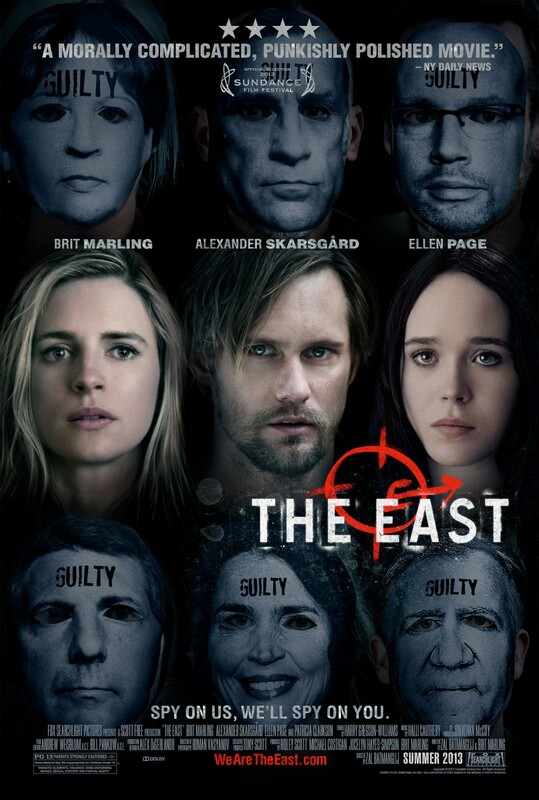 This entry was posted in Drama, Thriller and tagged Alexander Skarsgård, Brit Marling, Drama, Ellen Page, Shiloh Fernandez, thriller, Toby Kebbell, Zal Batmanglij. Bookmark the permalink.